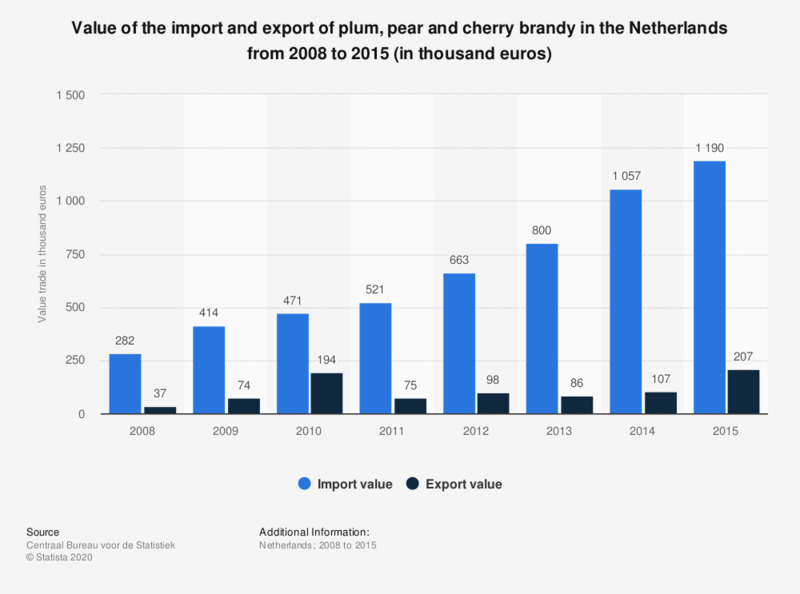 This statistic displays the value of the import and export of plum, pear and cherry brandy to and from the Netherlands from 2008 to 2015 (in thousand euros). It shows that between 2008 and 2015, the value of the Netherlands' imports was higher than the value of the exports. * Export data of plum, pear and cherry brandy in packaging bigger than two liters, is not availble.